"Who am I?" This is the question that many adolescents ask during the turbulent middle and high school years. 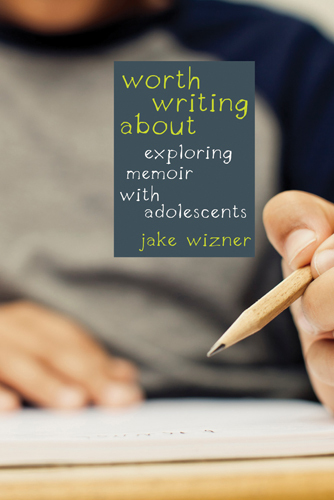 In Worth Writing About: Exploring Memoir with Adolescents, Jake Wizner addresses how searching for the answer to this question leads his students to reflection, to reading, and ultimately to deeper, more meaningful writing. 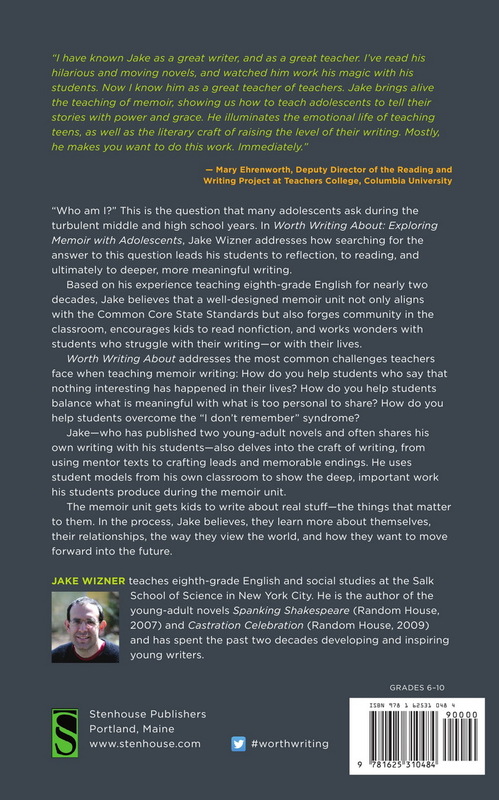 Based on his experience teaching eighth-grade English for nearly two decades, Jake believes that a well-designed memoir unit not only aligns with the Common Core State Standards but also forges community in the classroom, encourages kids to read nonfiction, and works wonders with students who struggle with their writing—or with their lives. Worth Writing About addresses the most common challenges teachers face when teaching memoir writing: How do you help students who say that nothing interesting has happened in their lives? How do you help students balance what is meaningful with what is too personal to share? How do you help students overcome the "I don't remember" syndrome? Jake—who has published a young-adult novel and often shares his own writing with his students—also delves into the craft of writing, from using mentor texts to crafting leads and memorable endings. He uses student models from his own classroom to show the deep, important work his students produce during the memoir unit. The memoir unit gets kids to write about real stuff—the things that matter to them. In the process, Jake believes, they learn more about themselves, their relationships, the way they view the world, and how they want to move forward into the future. Chapter 2: What's Worth Writing About?